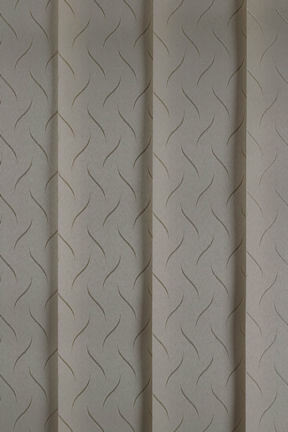 A patterned soft taupe vertical with soft flowing waves producing a unique geometric design. A good quality vertical blind. Control Chain: Our vertical blinds all come with metal operating chain, we don't use plastic as it stretches and discolours.